Huawei’s new 2-1 PC Matebook can be pre-ordered since Monday at Microsoft Stores. The Windows 10 powered device comes with a 12-inch touchscreen and a 6th Generation Intel Core m-series processor, starting at $699. Purchases will ship on July 11 in the United States and Canada. Consumers can also acquire the Matebook on Amazon.com and Newegg.com since mid-July. The hybrid computer was presented in February at the Mobile World Congress in Barcelona, Spain, for markets seeking productivity and entertainment in one device. The Matebook comes with a and a 2160 x 1440 12-inch touchscreen, and a 0.27-inch thin metal unibody, that weighs 1.40 pounds. It also includes a USB Type-C, a 5-megapixel front camera, Wi-Fi 802.11, Bluetooth 4.1 and dual speakers. Huawei added support for Windows Hello, which works with a fingerprint sensor. Chris Walker, Vice President and General Manager of Mobile Client Platforms at Intel, said that Intel m processors and premium devices are a great combination. 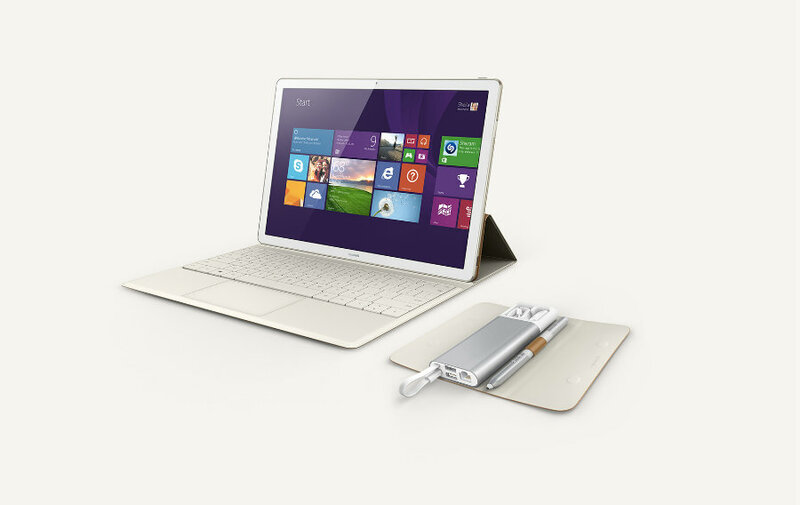 The Chinese tech giant stated that battery has been a priority when designing the new 2-1 PC. According to official declarations, it has enough power to offer nine consecutive hours of internet use and 29 hours of music playback. A full battery charge can be achieved in two-and-a-half-hours, although a fast charging feature allows the device to reach 60 percent in only one hour. The Matebook has a 4430 mAh battery. Models with more demanding features such as 8GB RAM and the Intel Core m7 would have different battery performances. Since the Huawei MateBook was unveiled at the Mobile World Congress, it has caused expectation among technology fans. The Chinese company was worked alongside Microsoft to include support for Windows Ink. The 2-1 PC has a built-in laser pointer, which can detect up to 2049 different levels of writing pressure, said Huawei in a press release issued Monday. The Matebook, which comes in gray and gold, can be paired with three new accessories. Users can order the Portfolio backlit keyboard for $129, and the MateDock for $89. The latter adds two USB 3.0 ports, an Ethernet HDMI, and VGA ports. The MatePen can be acquired for $59. The basic model is powered by an Intel 6th Core m3, 4GB RAM and 128GB of SSD storage. It can be pre-ordered for $699. Huawei is also offering high-end features for more expensive devices. For Instance, a Matebook with an Intel 6th Core m5, 8GB RAM and 256GB of SSD storage can be acquired for $999. The most advanced model includes an Intel 6th Core m7, 8GB RAM, and 512GB of SSD Storage, for $1,599. All prices do not include taxes. NASA: Why there are no oceans in Venus?